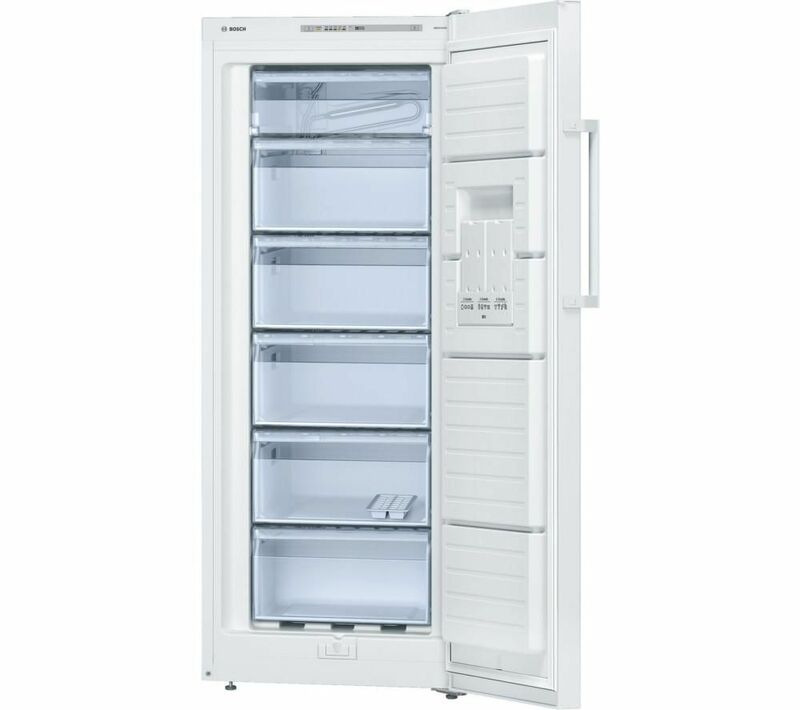 With an A++ energy rating, this freezer reduces energy consumption without compromising on performance. Help take care of the environment and save money on your energy bills. 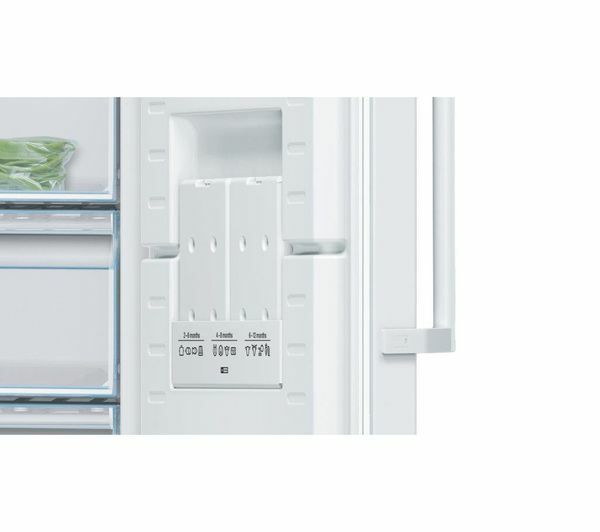 Tailor your freezers temperature levels to your preference or frozen food with the simple-to-use electronic controls, letting you make sure that your food is always kept at optimum temperature. Lock in rich flavours, strong aromas, and fresh nutrients with FreshSense, a smart feature that guarantees a constant, even temperature throughout the freezer. The SuperFreeze setting stops your frozen food from defrosting when new groceries are added, keeping everything fresher for longer. 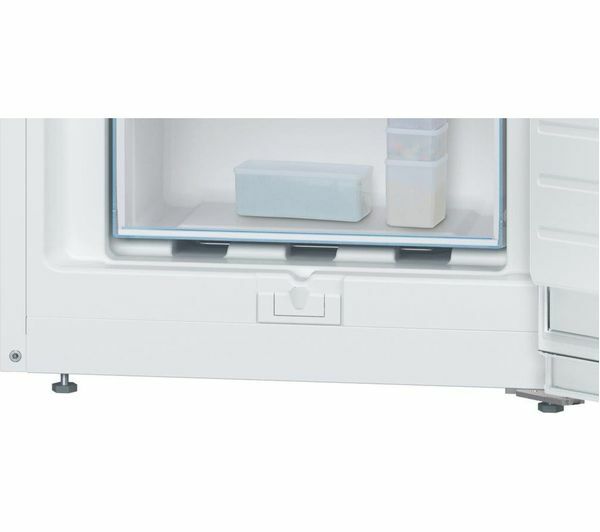 This freezer can be placed flush against any wall or niche thanks to its smooth 90° opening angle. 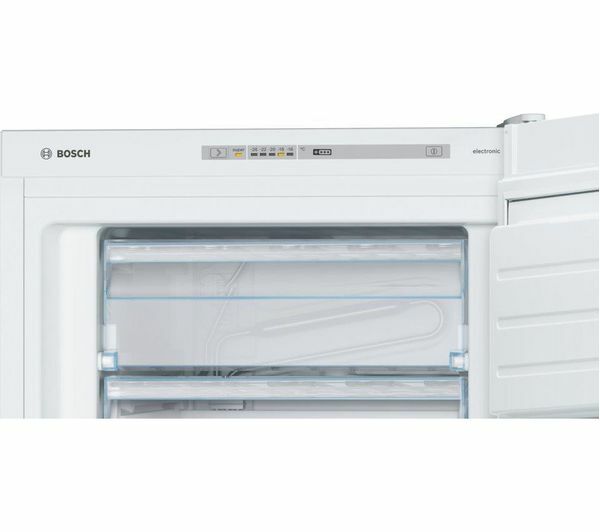 Whatever your kitchen set-up, feel confident that this Bosch Tall GSV24VW31G Freezer will complement your existing décor.